Narrated by the ubiquitous Peter Coyote, Saving Atlantis delves into the underwater world of corals—a world under assault by human beings. In the past 50 years more than half the ocean’s corals have disappeared. The two primary causes are rising atmospheric temperatures which also raise ocean temperatures, and oceanic acidification caused by excess carbon gas. 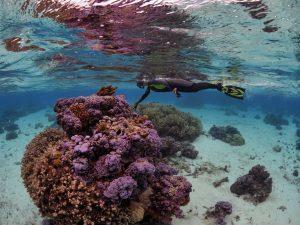 Yet, corals play a vital role in preserving the health of the Earth’s ecosphere. An Oregon State University production, Saving Atlantis is expertly crafted, visually gorgeous, and needs to be seen by everyone.